Trustee Schlemmer represents Region I (Northern Bay Area, Central Coast and Redwood Chapters). He is a sergeant with the Richmond Police Department, currently assigned to the traffic unit. He has been a police officer for 20 years, the last 10 with Richmond P.D. Schlemmer has been assigned to patrol, investigations, field training, street narcotics and violence suppression, and evidence technician (CSI). 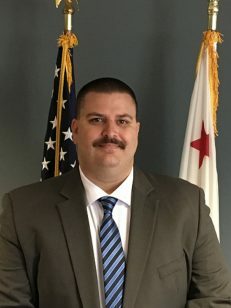 Schlemmer is a past member of the Richmond POA executive board and currently serves as a Director on the Bay Area Chapter board, first elected in 2010. In November 2012 he was elected to the PORAC Insurance and Benefits Trust. Trustee Vado represents Region I (Northern Bay Area, Central Coast and Redwood Chapters). In 1995 Vado began his law enforcement career with San Jose Police Department. 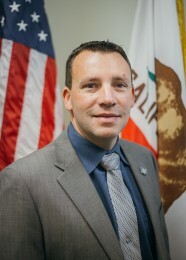 Vado was elected as a director of the San Jose Police Officers' Association in 2009 and was elected to chief financial officer in July 2010. In November 2010 he was elected to the PORAC Insurance and Benefits Trust. Vado has been an active member of PORAC since 1999. Trustee Kurtz represents Region II (North Valley, Central California, South San Joaquin and Nevada Chapters). Kurtz began his career in law enforcement as a deputy with the Santa Barbara Sheriff's Office in 1994. Later he went to work as a deputy in San Luis Obispo County from 1998 to 2004. In 2004 Damon became a police officer for the City of Fresno Police Department. He was elected to the executive board of the FPOA as a business representative in 2009 and first vice president in 2012. He was elected to the PORAC Insurance and Benefits Trust as a Region II Trustee in May of 2013. Trustee Green represents Region III (Tri-Counties, Los Angeles North and Los Angeles South Chapters). Cody has been with the Santa Monica Police Department for 14 years, and is currently a Sergeant assigned to Patrol. Cody is a trustee of the Santa Monica Police Officers Retirement Medical Trust which manages assets of 15 million dollars. He has a Master’s degree in Public Administration and was elected in November 2015 to the Insurance & Benefits Trust. Trustee Daniels represents Region III (Tri-Counties, Los Angeles North, and Los Angeles South Chapters). Daniels has been employed with the Simi Valley Police Department since 1988. During his tenure with the department, he has been assigned to patrol, crime scene investigations, robbery and homicide, and is currently assigned to background investigations. 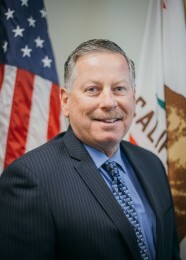 Daniels has been an active Board member since 1991 and is currently finishing his fourth term as the president of the Simi Valley Police Officers' Association. In November of 2010 he was elected to the Insurance and Benefits Trust of PORAC. Trustee Rea represents Region IV (Inland, Orange County and San Diego/Imperial Chapters). In 1998 Rea began his law enforcement career with the Chula Vista Police Department. In 2003 he was elected to the CVPOA board of directors and has been the treasurer of the CVPOA since 2005. He remains a member of the Chula Vista Police Department and is currently assigned as a motor agent. Rea has been an active member of PORAC since 1998 and was selected by President Cottingham as the Region IV representative on the committee to develop the Retiree Medical Trust. He remains the elected Region IV Trustee, and is the only founding member remaining on the Trust. In November 2008 he was elected to the Insurance and Benefits Trust of PORAC, and in November 2010 became the Chairman. Brent Meyer is the Vice President of PORAC. Elected in 2013, Meyer is primarily responsible for PORAC’s recruiting and retention efforts. 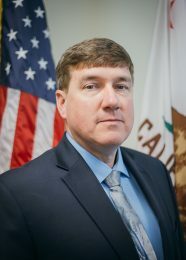 Prior to being elected to lead PORAC, Meyer served as president of the board of directors of the Sacramento Police Officers Association (SPOA) from 2007 to 2011. 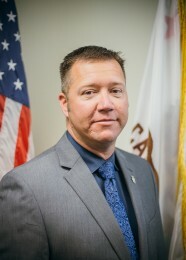 Officer Meyer, who earned his Bachelor of Arts degree in criminal justice management, has been with the Sacramento Police Department since 1992. He began his career as a student trainee and was a community service officer until 1998, when he was sworn in as a Sacramento police officer. 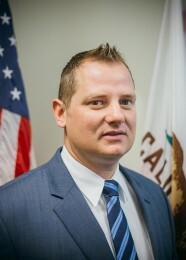 During his time with the department, Officer Meyer has worked in patrol; in the department’s federally grant-funded Community Oriented Policing and Problem Solving (COPPS) program at the Regional Community Policing Institute in Sacramento; as a traffic enforcement officer on a motorcycle; and as a bicycle patrol officer in the central core of downtown. Within those assignments, he has trained other police officers and community service officers, and served in the capacity of an interim supervisor. Officer Meyer holds Basic, Intermediate and Advanced California POST Certificates. Trustee Talbot began his police career in 1974 when he was hired by the Santa Monica Police Department. 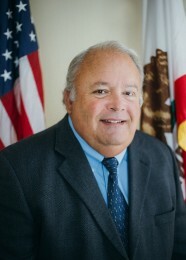 In 1979 he was elected to the board of directors for the Santa Monica Police Officers' Association, where he served in numerous leadership positions until his retirement in 2008. In November 1989, he was elected as the Region III Trustee to the Insurance and Benefits Trust of PORAC and was Chairman from January 1991 to February 2005. He serves as a trustee on the Santa Monica Police Officers' Association Retiree Medical Trust and has held that position since 1995. In November of 2009 he became the PORAC Board Retiree Appointee assigned to the Insurance and Benefits Trust of PORAC. Trustee Buss represents Region IV (Inland, Orange County and San Diego/Imperial Chapters). In 2001, Buss began his law enforcement career with the San Bernardino County Sheriff’s Department. 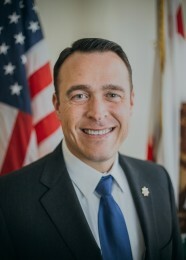 In 2013, he took on the role as the San Bernardino County Sheriff’s, Rancho Cucamonga Station, alternate board of director for SEBA (Sheriff’s Employees Benefits Association) and in 2015 he was elected as the station director. He remains a member of the San Bernardino County Sheriff’s Department and is currently assigned to patrol at the Rancho Cucamonga Station. Buss has been a member of PORAC since 2001. In April 2017 he was elected to the Insurance and Benefits Trust of PORAC.